From 24th to 28th April 2017, we exhibit at the Hannover Messe 2017. Our joint exhibition with SCHNELL Motoren is in Hall 27, Stand H20 / 29. 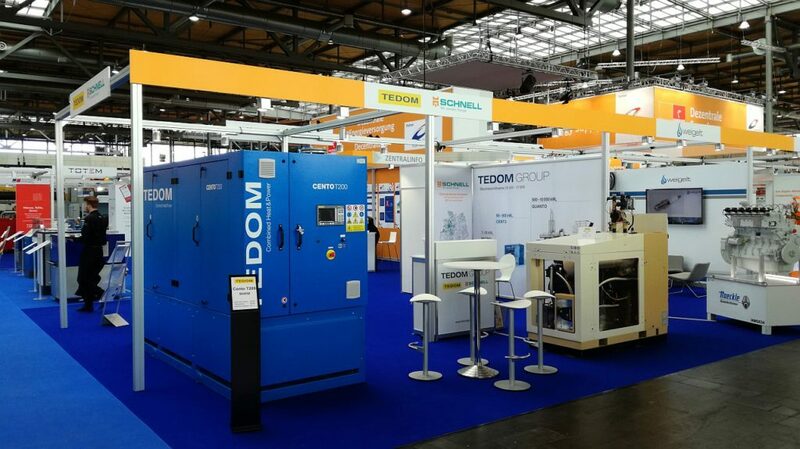 At this trade fair, we are exhibiting a Micro T33 CHP unit, and for the first time in Germany, also the Cento T200 unit, both in natural gas versions.